I'd like to claim this, I would also suggest though that we combine this claim with the sheep in light of the fact that there aren't really any suitable sheep models currently in existence. 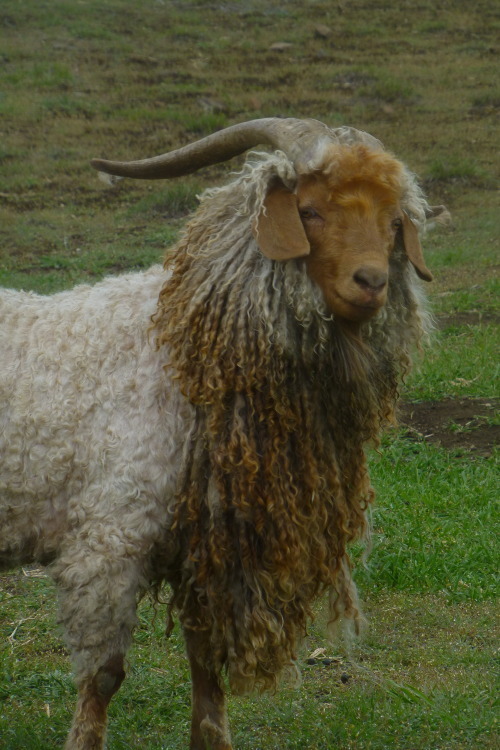 If people are cool with it, I'd like to to fashion our goat after the real-world angora goat and make it the primary wool source for Colovia. Aside from the practical considerations with regard to modelling/animations, the big advantage is that while it won't be too outlandish or alien for players who see it, this will help to further separate Cyrodiil from the medieval European influences of Oblivion/ESO. I don't have any particular thoughts about the animal myself. Just thinking about the sheep issue, wondering if we should still aim for a separate animal or accept your solution. Not sure how I feel about it yet. I'm just not sure what we get by having separate animals. What function do goats actually serve otherwise, given that we have horses, cows, and donkeys already? Saint_Jiub wrote: I'm just not sure what we get by having separate animals. What function do goats actually serve otherwise, given that we have horses, cows, and donkeys already? I agree that there is not really a need for sheep and goats to both be present. If we have to choose, I prefer we just drop the sheep and keep the goat(like) creature, if only for the sake of novelty. There are a couple of texts floating around that claim sheep wool is imported from High Rock, if I'm not mistaken. 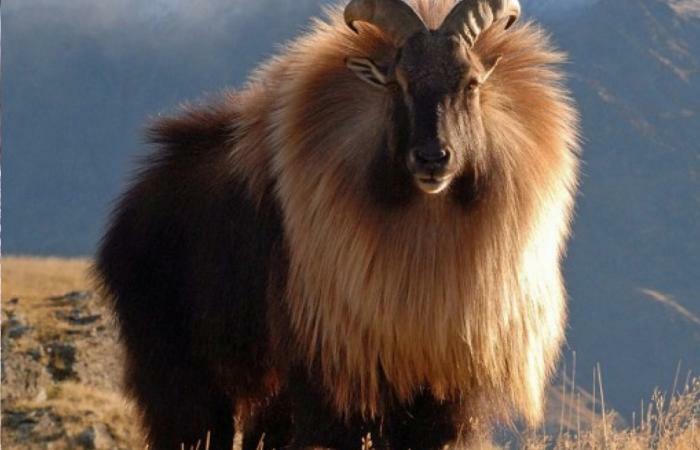 It makes sense that the rocky, arid Colovian Highlands are more suitable for goats than sheep, as well. I always associated rural Colovia with goats, for whatever reason. Perhaps we could also add a Colovian goat cheese? 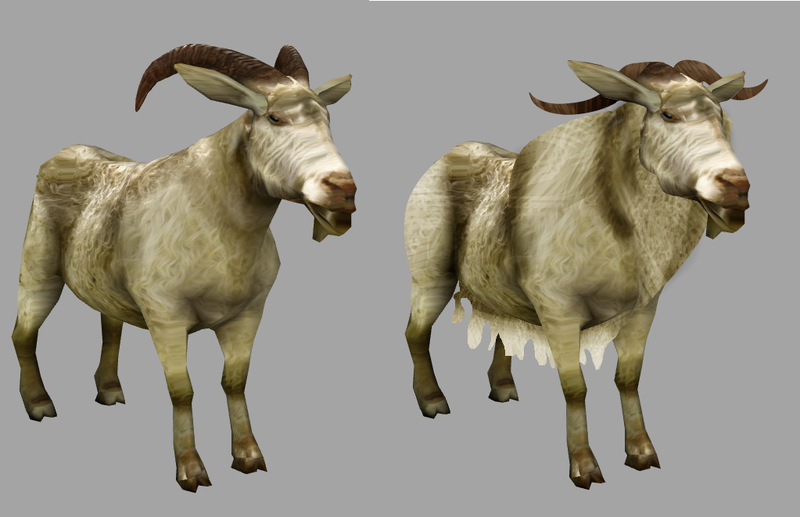 The angora goat feels a little bit too much like an obvious sheep/goat hybrid to me (though I really like the profile of its horns - goat skulls and trophy plaques would make interesting Highlands decorations). Perhaps it could be a little shaggier, with a sleeker fur, maybe with a brown/black fur pattern - or even just a healthy coating of Highlands dust. Didn't you post a picture of a goat with a lion-like mane on the tumblr once, Saint_Jiub? Might be worth looking into. The second would work well in terms of what I'm proposing. OK so what am I doing here? I don't really want to start work on the claim until we're all on the same page lol. I approve of a goat creature based on these concept pics. It will fit well in the gameworld and adheres to the Colovian creature design philosophy. Furthermore, I think we should drop the sheep entirely (the only reason it was planned was because Oblivion had sheep, I think). I personally prefer the first one but I'd be curious to hear other peoples' thoughts. I'd probably prefer the second variant myself, when the throat area gets more pronounced to give it a mane similar as seen on the reference photos. The first variant has got that very strong photo-look to it, that I'd avoid, although the head looks better than that of the second variant. I like both of them. Would it help if the model had alpha planes for fur? Like the fuzzy stuff on the troll model, sort of. That looks good. Maybe the texture could do with a bit more color, but it's not essential. So for the model changes: different horns, alpha plane on the belly, a fuzzy collar, and a bit more bulk, right? Did I miss anything? If you send me your latest WIP file I can look into that. 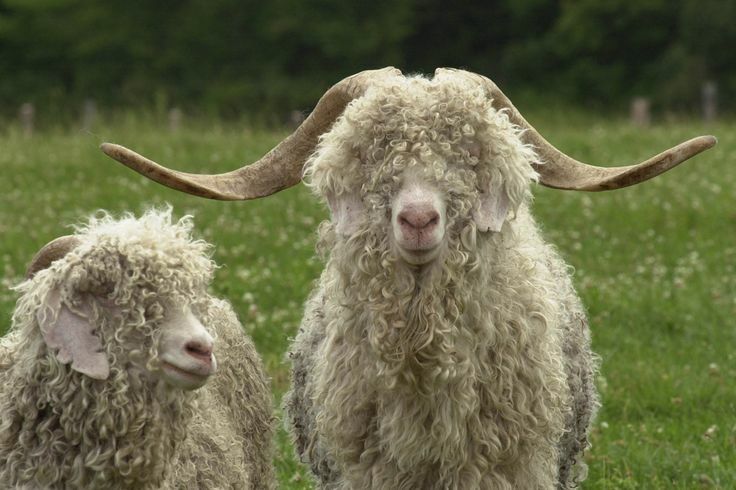 Left one has a stronger and more recognizable goaty profile though. How about trying a multiple-horned look? 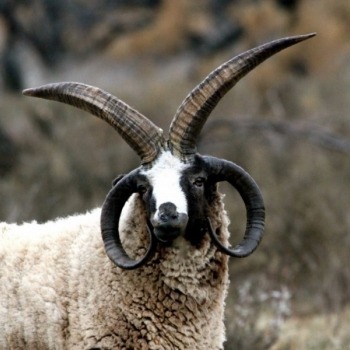 Those type of horns have been proposed before, but to me they look like they belong on the cover of a heavy metal album, which makes them more appropriate for Skyrim. 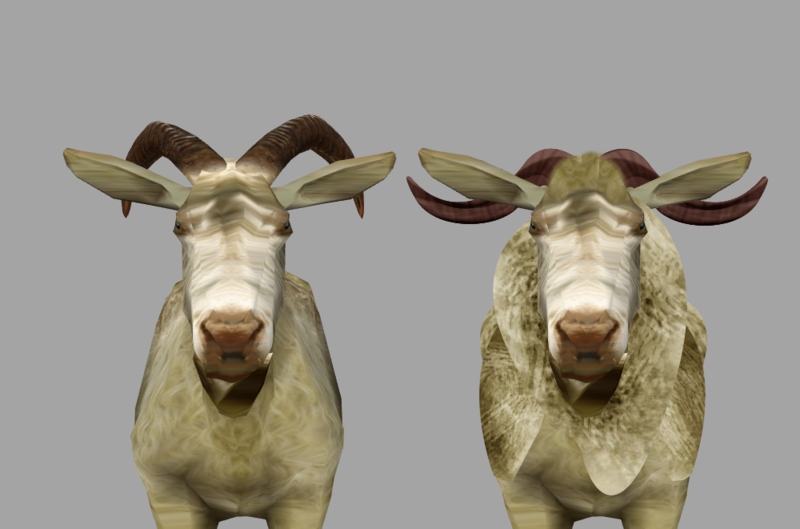 My rendering of the horns in the paintover wasn't especially good, but look at the pictures of the angora goats up above for a better idea of what they'll look like. Given Saint_Jiub's abdication, I have decided to take over this asset. I'll try to get it finished asap.